August 2017, Huntingdon Valley, PA – The Fredericks Company, an industry-leading manufacturer of tilt and vacuum measurement products, is pleased to announce and welcome Daniel Saenz as Director of Sales and Marketing. In his new role, Dan will be responsible for developing and implementing strategic sales and marketing initiatives, defining new markets and business opportunities, and growing and strengthening our sales team worldwide. After graduating from Penn State University with a B.S. in Electrical Engineering, Dan began his career as an Electrical Project Engineer at Johnson Controls. 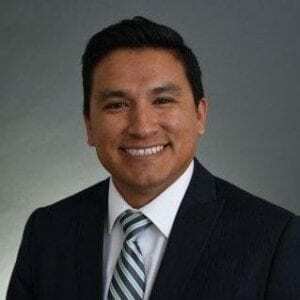 From there he moved on to Bender Electronics Inc. where he made the transition from Applications Engineer to Sales Manager, eventually becoming the Sales Director for Mexico, Central America, and the Caribbean. With a strong background in both engineering and sales, Dan brings a unique perspective to the Fredericks team, as well as a proven track record as a skilled and tenacious salesperson. For more than 80 years, The Fredericks Company has been partnering with OEMs and customers worldwide to design and develop tilt sensors, vacuum measurement devices and precision custom glass components for their finished products or processes. Fredericks’ team of engineers and application specialists deliver broad practical knowledge and experience across a wide range of markets and application areas. In keeping with the company’s history of outstanding customer support, Fredericks provides the insight and guidance needed to take design concepts to reality in a cost-effective manner. For more information, visit www.frederickscompany.com.